Faced with a whopping Rs 30,000 crore annual loss, Indian Railways has planned a 'Give It Up' like the scheme to slash passenger fare subsidy of 43 per cent on all tickets booked online or purchased at ticket counters. Earlier the government has successfully launched and implemented 'Give It Up' campaign for LPG consumers under which over 1 crore cooking gas subscribers have forgone their subsidy amount on Prime Minister Narendra Modi's appeal. Indian Railways at present takes care of 43 per cent ticket cost of all passengers who travel using its vast network of trains. The state-run entity has indicated that it will introduce the scheme next month. A report in The Times of India said that the national transporter will come up with two 'slab' offers of subsidy surrender - 50 per cent and 100 per cent of total subsidy amount. Due to a huge burden on account of an annual subsidy outgo of Rs 30,000, Railways has introduced a dynamic fare system for its Rajdhani and Shatabdi trains. The Railways wants to introduce the 'Give It Up' scheme in phases as it is thoroughly overhauling its accounting system. Apart from long route train travellers, suburban commuters also get a subsidy on seasoned train tickets. 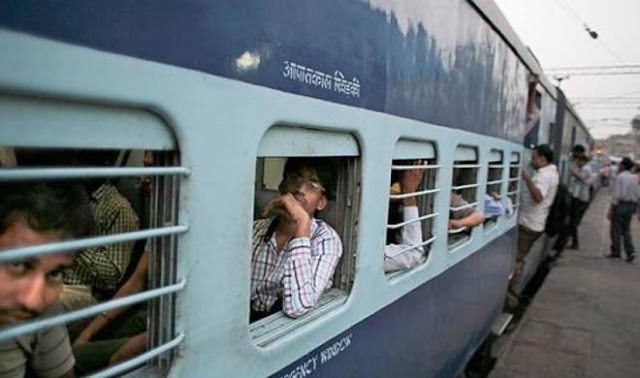 The TOI report adds that sub-urban train travellers pay on 36 per cent cost of train tickets. The remaining 64 per cent ticket cost is borne by the Indian Railways.